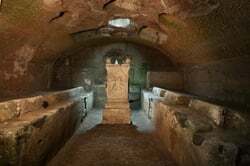 San Clemente has two Christian churches on top of an ancient Roman temple to the Mysteries of Mithras where a bull was sacrificed on the altar to commemorate the birth of Mithras on December 25th. Via Labicana 9. 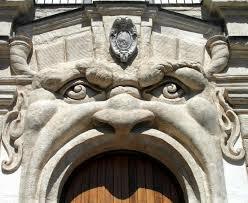 The Monster House on Via Gregoriana has monstrous faces surrounding the door and windows. Finger of Doubting Thomas. When Thomas met Jesus who had risen from the dead, he doubted it so Jesus placed Thomas’ finger in the wound on his side. Santa Croce in Gerusalemme in Piazza di Santa Croce in Gerusalemme. Body of Santa Cecilia in Santa Cecilia in Trastevere. Her actual body is below the statue on the main altar that shows the wounds she suffered while the Romans tried to kill her. Heart of San Carlo al Corso. 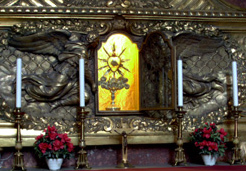 A relic of his heart is presented on an altar behind the main sanctuary. Via del Corso 437. 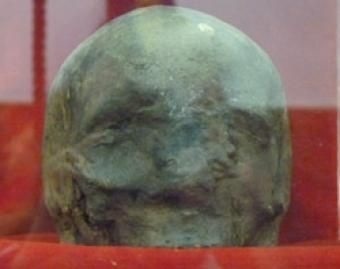 The skull of John the Baptist is found San Silvestro in Capite, one of the four churches that claim to have this relic. 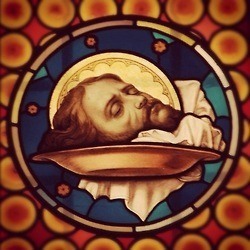 The skull is in the first chapel on the left, the one with the beautiful stained glass of St. John’s head on a platter. Piazza di S. Silvestro 17A. 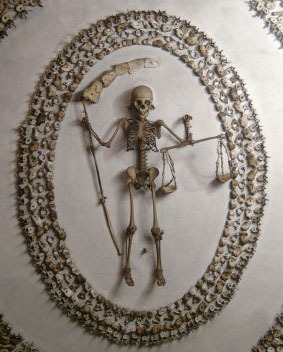 San Ignazio, where a side chapel houses a grandiose baroque altar filled with dozens of skulls, femurs, and other bones are incorporated into the decoration. Via del Caravita 8a, Beautiful church. 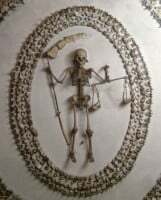 Credits: St John’s Head skull and stained glass, Mithraid Altar from All the Saints You Should Know. Capuchin Crypt from Trasecoli. San Carlo’s Heart from Fotografia Altervista. Statue of Santa Cecilia from monastero Benedettine S. Cecilia. 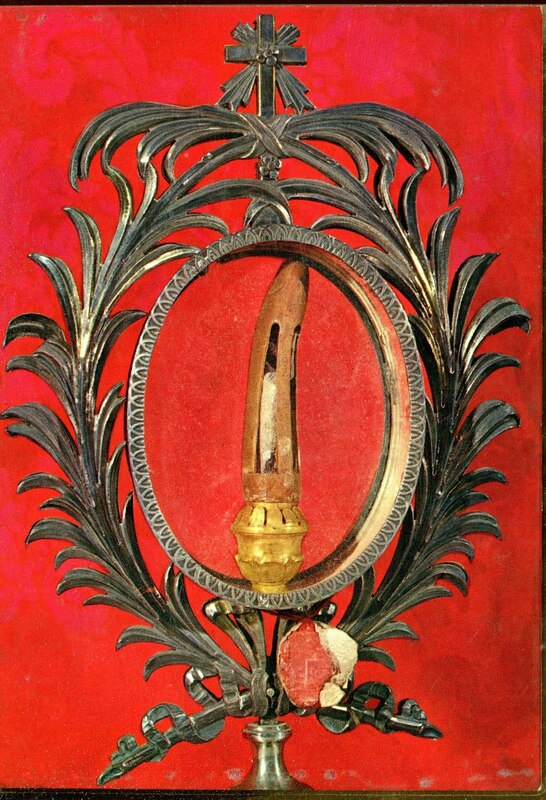 Saint Thomas’ Finger from Catholic.net. Monster House from Ermetical.blogspot.com.